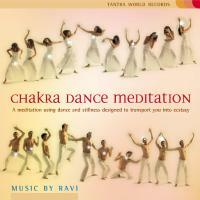 This 1 hour meditation celebrates life energy through dance while opening your Chakra system. Dancing each of the seven chackras in turn (40 minutes of dance in total) is a very potent way to experience physical and spiritual ecstasy. The silent phase at the end (laying down for 20 minutes) offers a space to integrate this experience on all levels.